Peterson Sullivan and Pacific West Land present opportunity zones – tax haven or danger island? Since Congress passed the opportunity zone legislation there has been a wave of investor and developer interest in opportunity zones. Billions have been raised in CRE funds already in Seattle. What are they? What is the hype? Should we be acting quickly or cautiously? Come find out on January 15th at noon! Background: Opportunity Zones are a new community development program established by Congress in the Tax Cuts and Jobs Act of 2017 to encourage long-term investments in low-income urban and rural communities nationwide. The Opportunity Zones program provides a tax incentive for investors to re-invest their realized capital gains into Opportunity Funds that are dedicated to investing in Opportunity Zones designated by the chief executives of every U.S. state and territory. 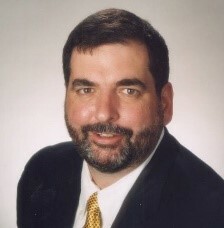 Rob has more than 34 years of public accounting experience and provides tax and business consulting services to clients in a variety of industries, primarily those specializing in real estate development operations, and related fund formations and has done just about any deal structure you can imagine. Rob is famous at Peterson Sullivan for the years he advised real estate radio with Tom Kelly. Rob has assisted clients with partnerships, LLCs, corporations, estates, and trusts navigating diverse tax and reporting obligations with a range of clients throughout North America, Europe, and Asia to efficiently meet their reporting goals. Peterson Sullivan is a full-service CPA practice specializing in real estate and we are 200 people strong right here in Seattle working for you. Our investment management practice is growing strong and we are excited to discuss the benefits and potential pitfalls of opportunity zone structuring and investing. Martin did his undergraduate studies at the University of Michigan–Ann Arbor. After working in publishing in New York City for several years, Martin obtained an MBA in Finance from the University of Chicago Booth School of Business. He was recruited by Microsoft out of business school into a high-level strategy job. Martin joined Pacific West Land 14 years ago and has served as president for the last 12 years. He is responsible for capital formation, investor relations, finance, and along with his partner Josh Treyve, guiding overall strategy. With roots stretching back over 35 years, Pacific West Land (PWL) invests in, develops, and manages grocery-anchored shopping centers and multifamily residential projects across the United States, achieving excellent results for accredited and institutional investors. For the last decade, PWL’s focus has been as a value-add developer, often in sub-markets and neighborhoods that might be called “challenging.” Opportunity Zone investments are right in the company’s sweet spot. Martin is a contributor to the Puget Sound Business Journal and several other publications, a published aviation historian, published game designer, and an avid football fan. 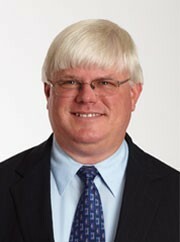 He is active in the Seattle and NorCal angel investor communities, is a member of the Urban Land Institute, and is an Allied Professional Member of the Financial Planning Association. He lives with his wife and daughter on Bainbridge Island. Pacific West Land’s office is also on Bainbridge Island.